Have you taken advantage of a retail app for your company? If not, you might consider how a retail app can enhance your business practices. Non-tech businesses, like retail face some serious challenges in a tech-focused market. Advances in technology don’t only influence tech-based sales, after all. When customers have access to better information, that information affects everything from computer sales to clothing sales. Thankfully, all retail businesses can take advantage of technology, making these changes work for them. A retail app as part of your business plan can help, and a custom-designed retail app is even better. Customers have become smarter. The internet and other technology has allowed them to search for deals, scout for reviews, and make well-informed purchasing decisions. The retail market has shifted as a result. These days, businesses build their marketing around the customer, not the product. Those who don’t find meaningful ways to connect to the customers risk losing those customers. Those who don’t provide a great shopping experience also risk losing customers to those who can provide a great experience. You don’t have to lose your customers. You can reach them with a retail app. Custom retail app development gives you the customer-focused approach that you need to retain consumer loyalty. Buyers have also grown accustomed to communicating easily with brand representatives. We can either thank or blame social media for this development. A retail app gives you a superior option for customer communication. Quick forms can give your customers a way to reach the right people. When you hire a team to develop your retail app, that team can provide you with excellent Customer Relations Management (CRM) options. You also have the option to use a retail app solution for communication between employees and management. This option can manifest in several different ways. For example, you can use an app for inventory management. 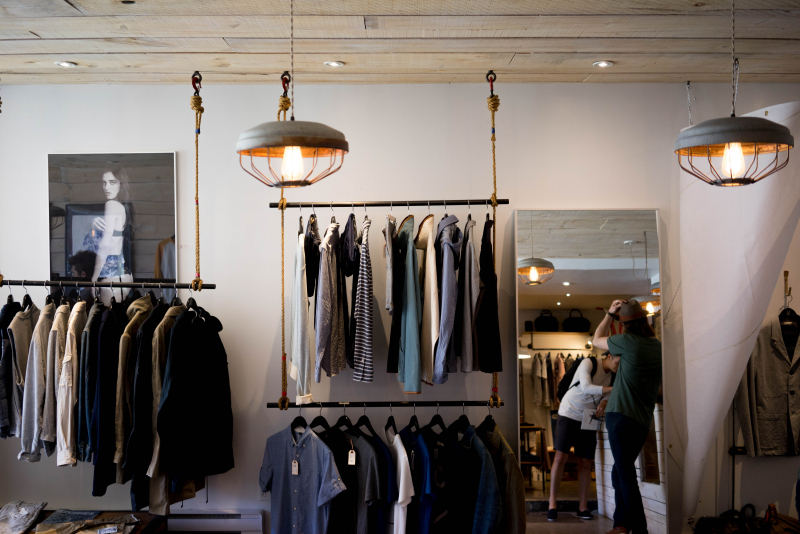 Retail businesses have to manage a lot of different kinds of inventory. Not only do you have to manage product inventory, but you also have to keep track of items like toilet paper for the bathrooms (if you run brick-and-mortar stores) or office supplies for the corporate level. You may have numerous people tracking different types of inventory. A retail app would allow them to communicate with one another to avoid surplus and other purchase mistakes. You can also open better lines of communication with supply chain management solutions. If communication breaks down at any point in the supply chain, you risk slow or halted production. An application, however, gives you a single portal for communication among the entire supply chain. Simplified communication is the best communication. Are you getting the most out of your data? Do you have a simple, trustworthy way to collect that data in the first place? A retail app can help you use data collection to your business advantage. With automated data collection options, you can learn more about your target demographic and then use that information to develop strategies. You might find ways to tailor your advertisements, for instance. You may also discover innovative ways to expand into other markets. The right data collection software can help you make predictions, allowing you to make decisions confidently and straightforwardly. Because customers have started focusing on saving money, retail companies also have to focus on saving money. Often, IT costs are among the first expenses to get cut. However, this decision may cost you in the long run. Retail apps can keep your business competitive in this market, and they don’t have to cost a significant amount of money. Lean e-commerce architectures can give you a way to take advantage of technological growth without struggling under the weight of upfront costs. With the right software design team, you can reduce capital expenses and maintenance costs. You’ll want to get the most money-saving potential out of your retail app. If you choose the right design team, they’ll want the same for you. At Ayoka Systems, we would love to design your custom retail app. When you choose the custom design app, you get a technological experience perfectly tailored to your business and your customers. We design our software solutions with scalability in mind so that your software can evolve with your business. Our architects at Ayoka always start by getting to know you and getting to understand your company and business practices. We’ll then develop a software solution, tailoring it to your needs and your business practices. You and your customers will absolutely notice the difference. Are you ready for us to get started on your custom retail app? Contact us today. You can also call us at 817-210-4042. We would love to hear from you.